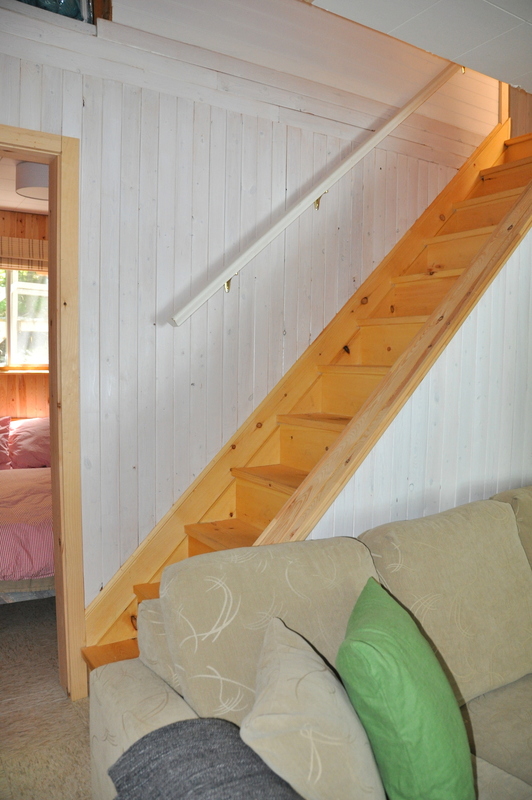 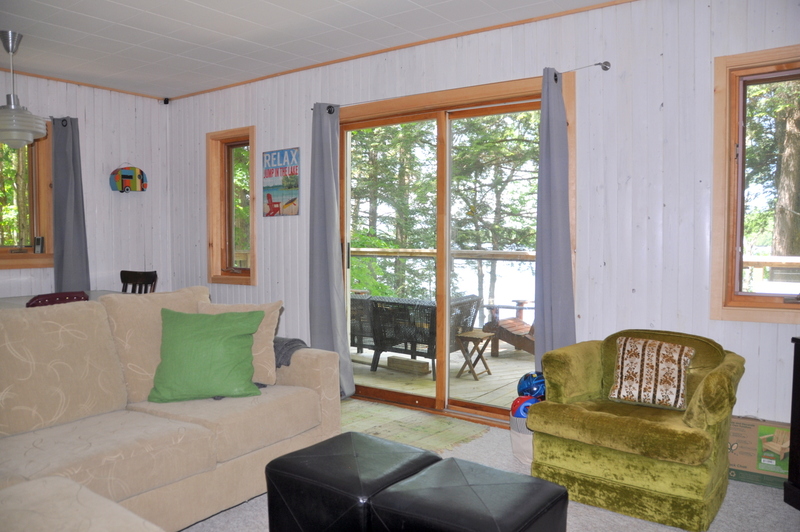 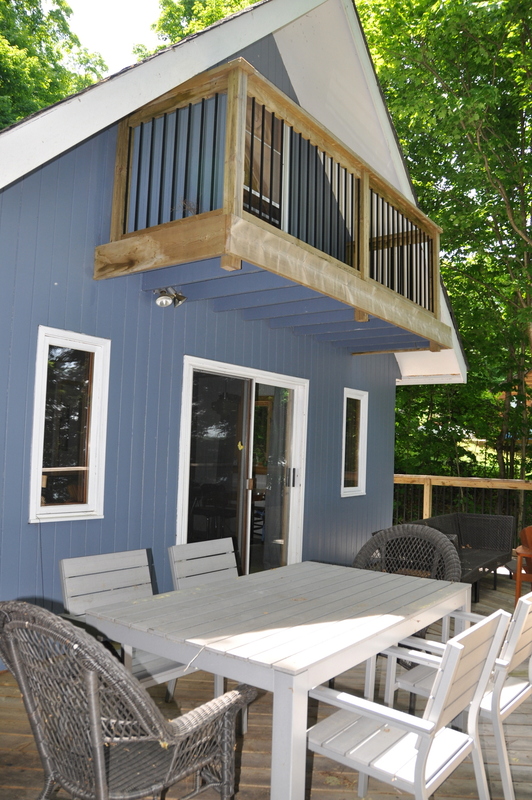 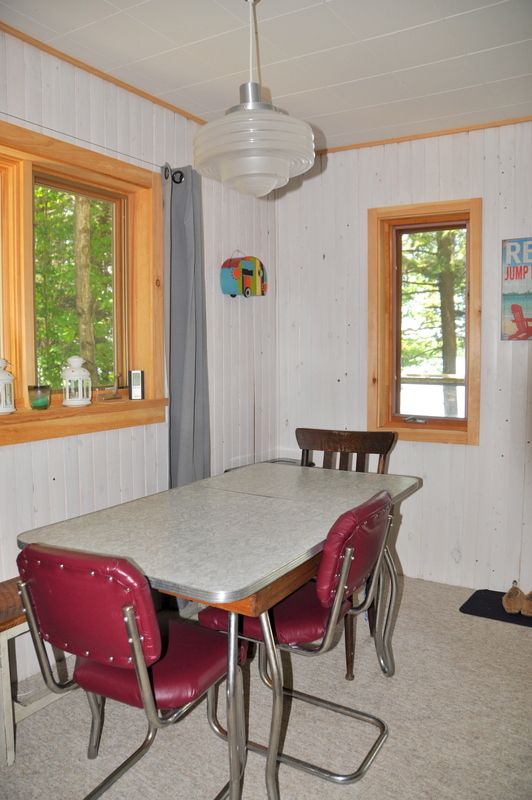 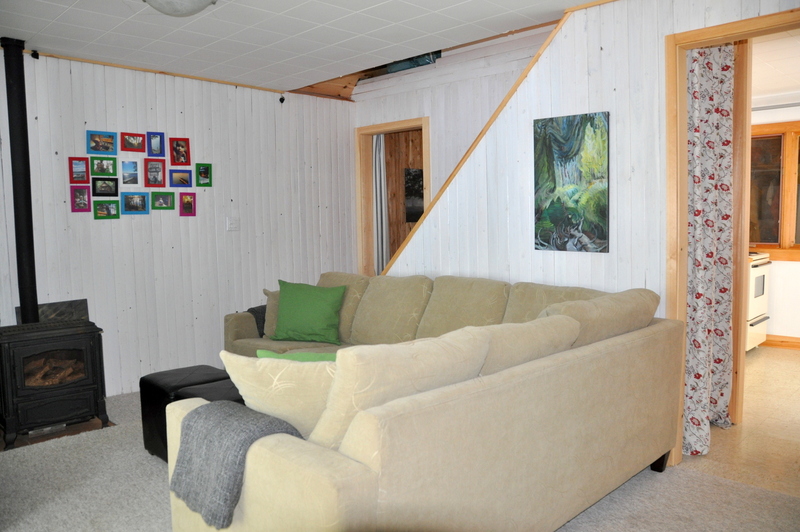 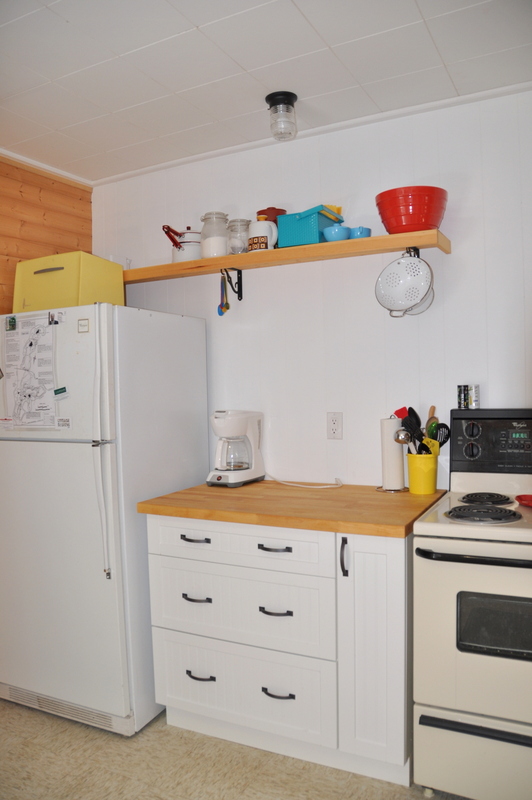 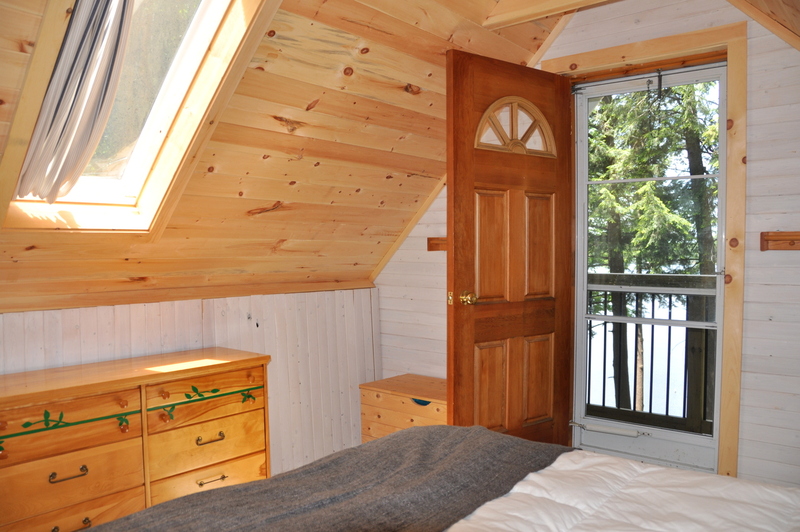 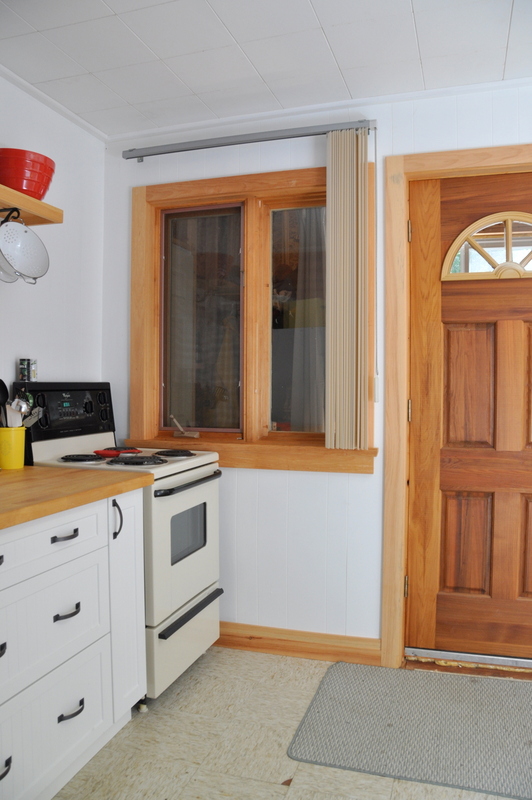 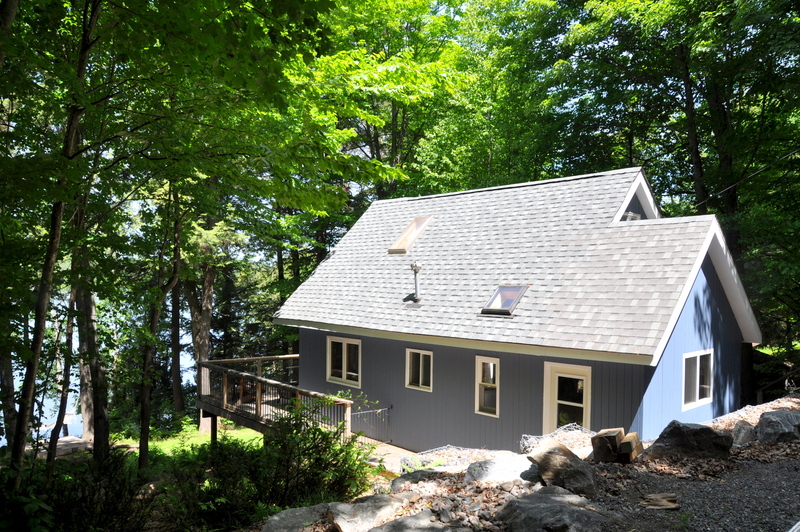 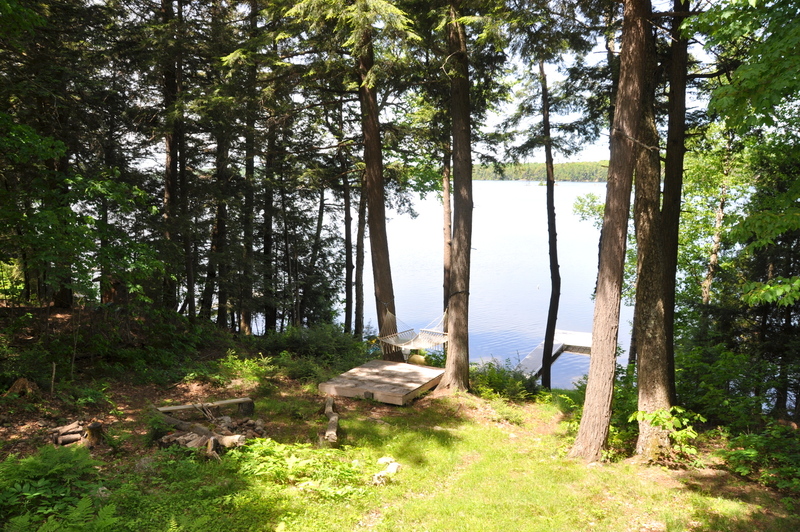 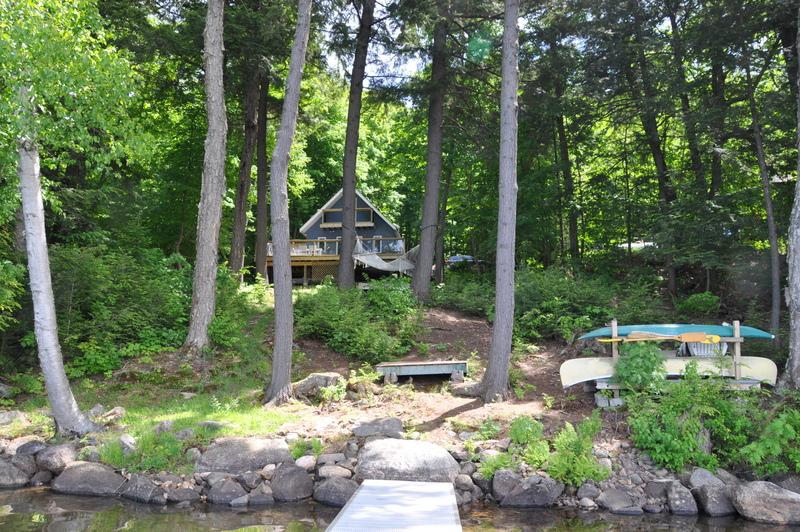 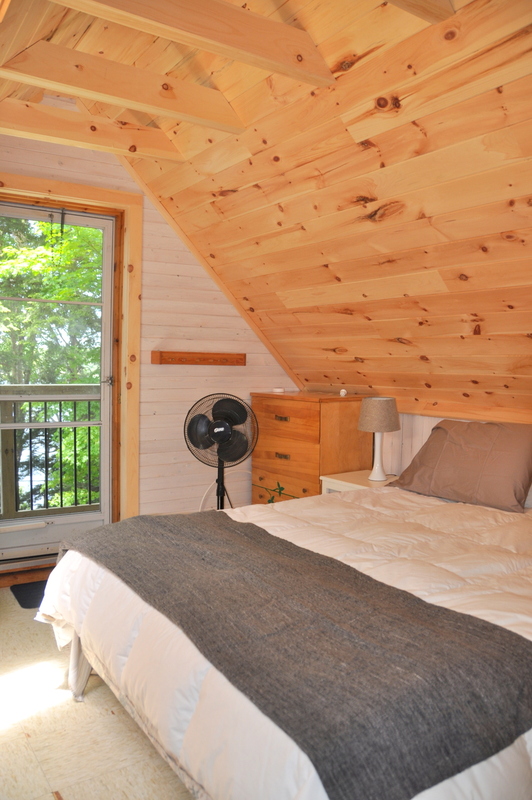 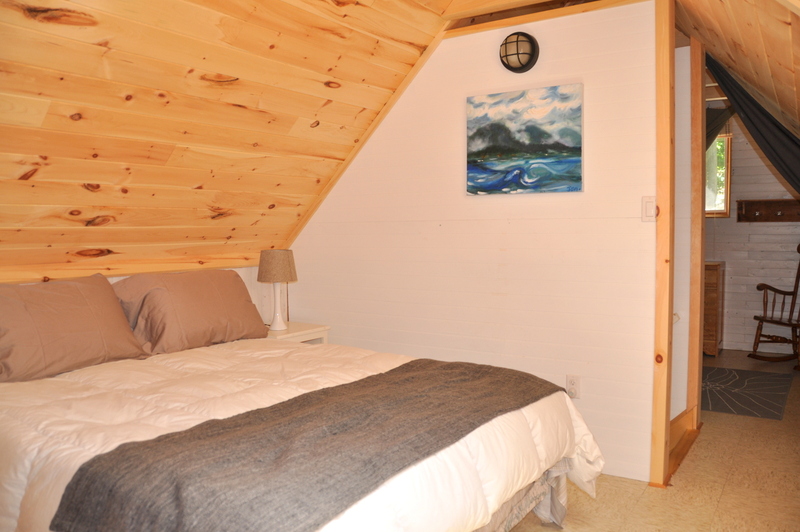 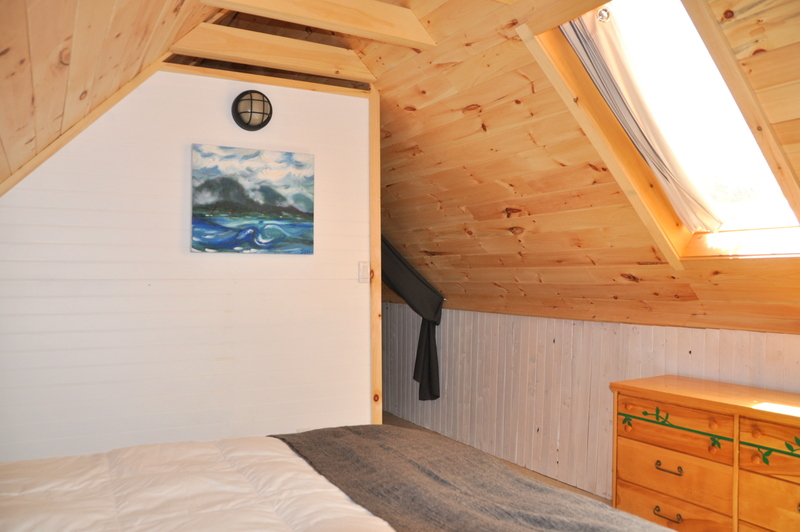 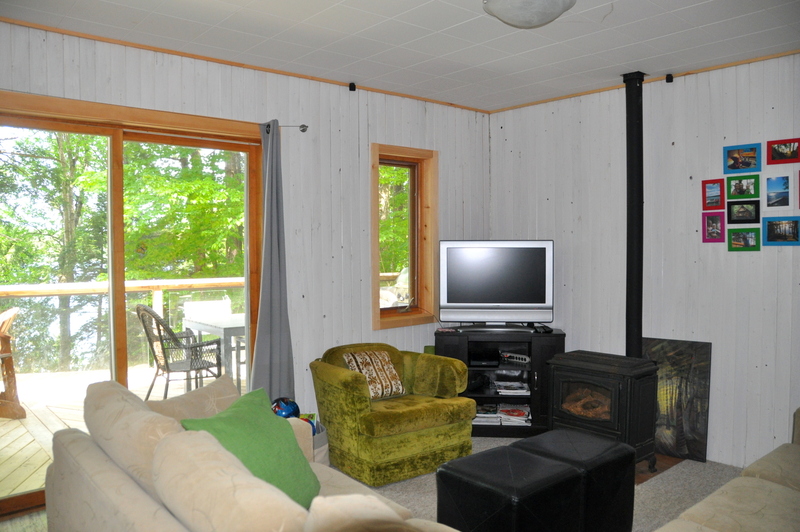 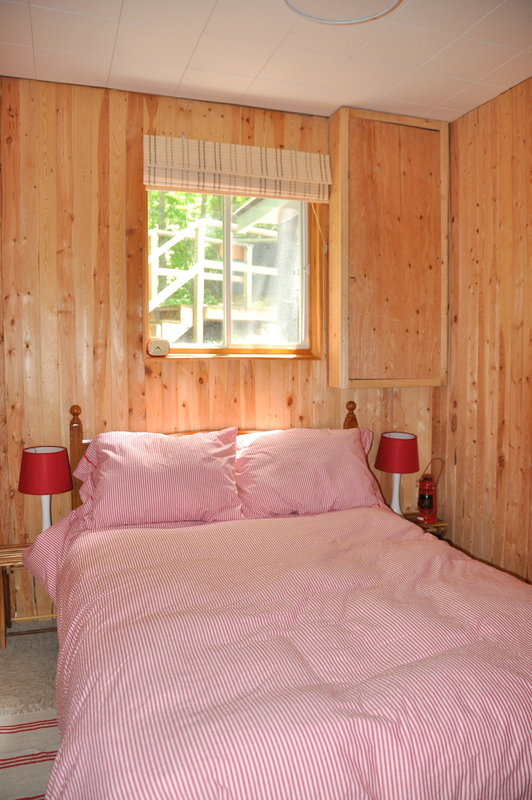 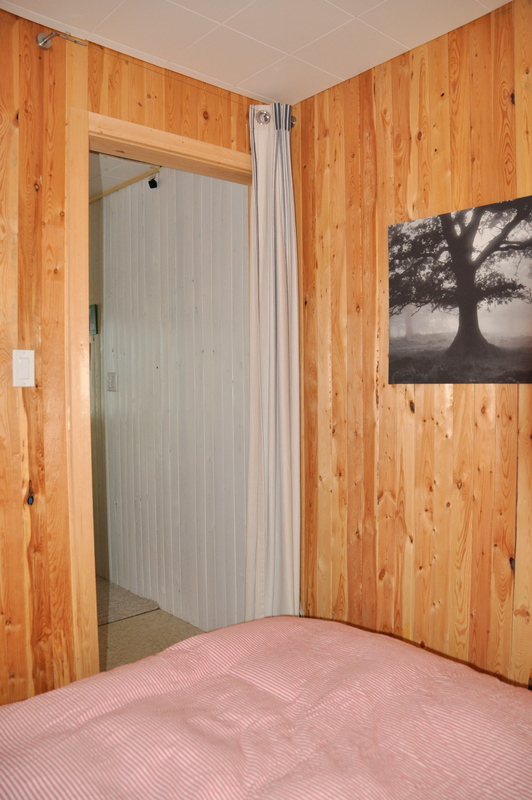 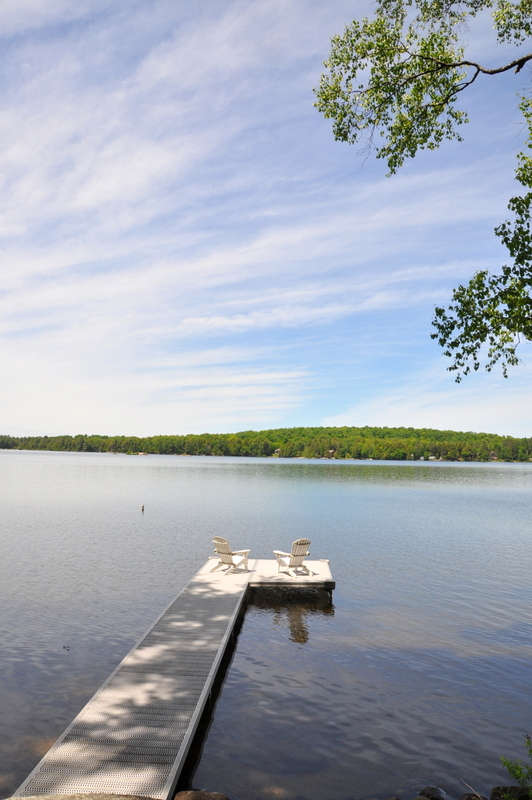 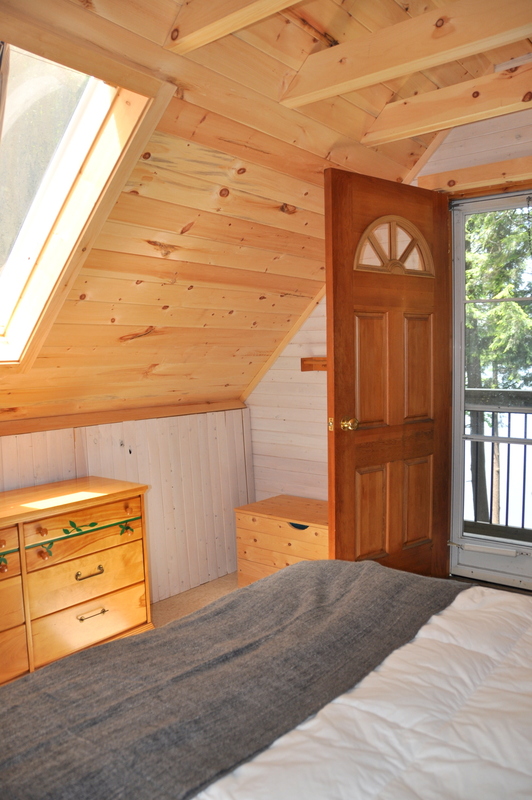 Welcome to this cozy 3 bedroom cottage on beautiful Eagle Lake, a perfect vacation destination for ANY family. 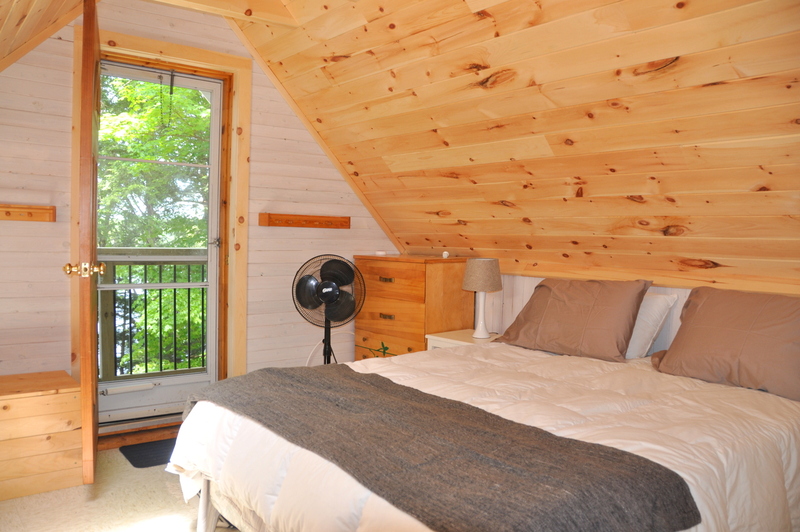 Get back to basics with most all the comforts of home and truly take a refreshing break from the city’s hectic pace. 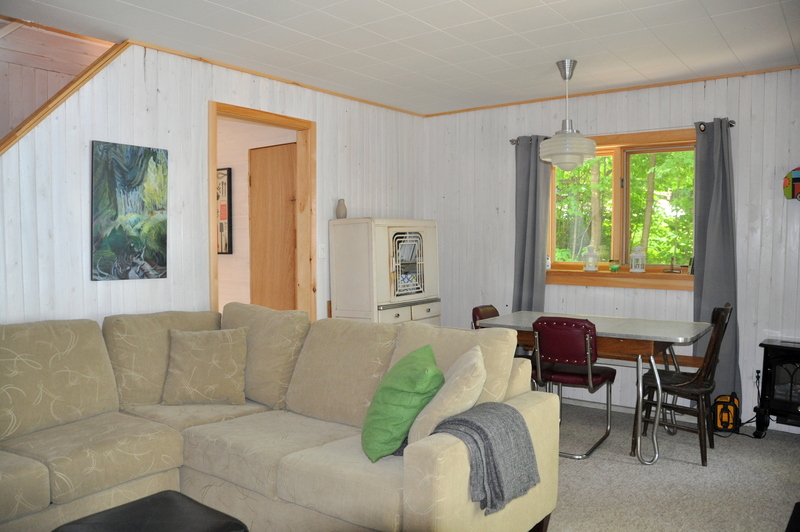 Recently renovated, the owners have made great use of its 800 sq.ft. 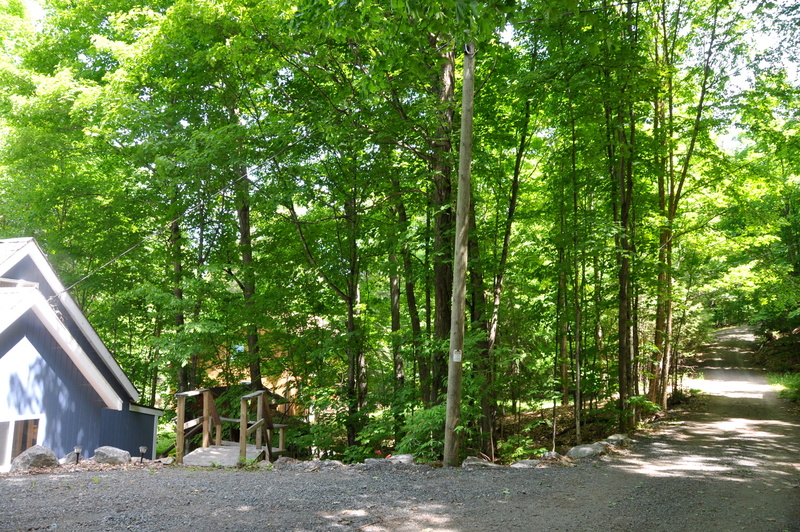 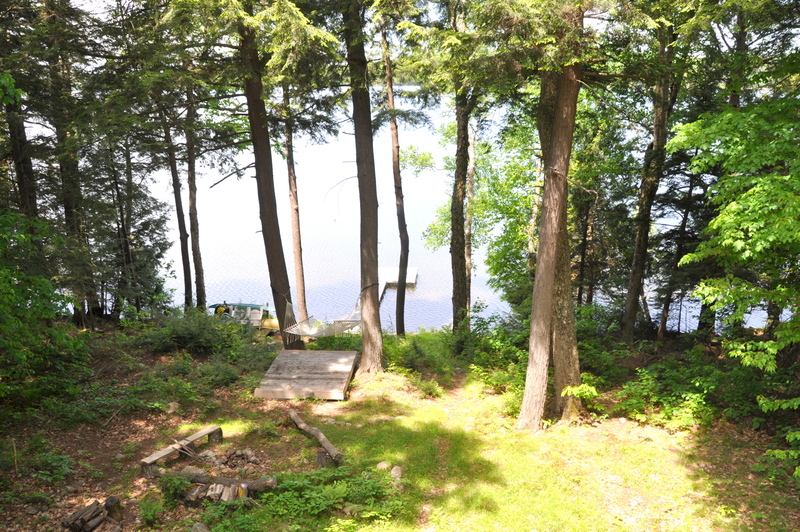 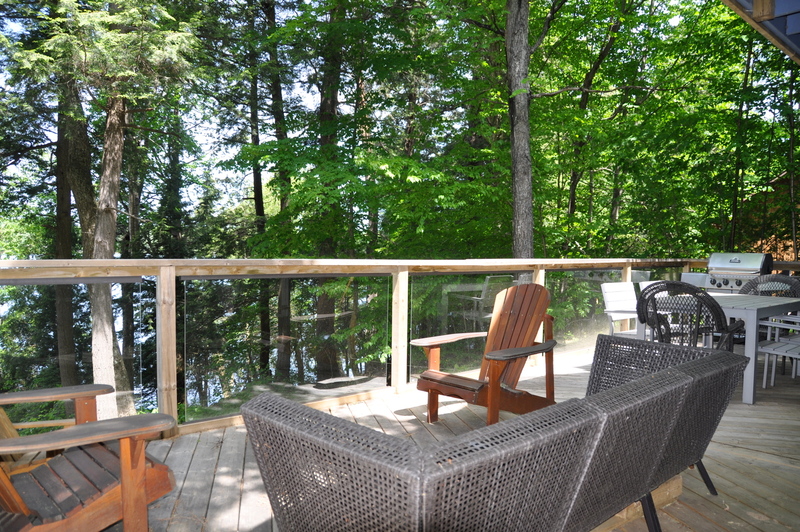 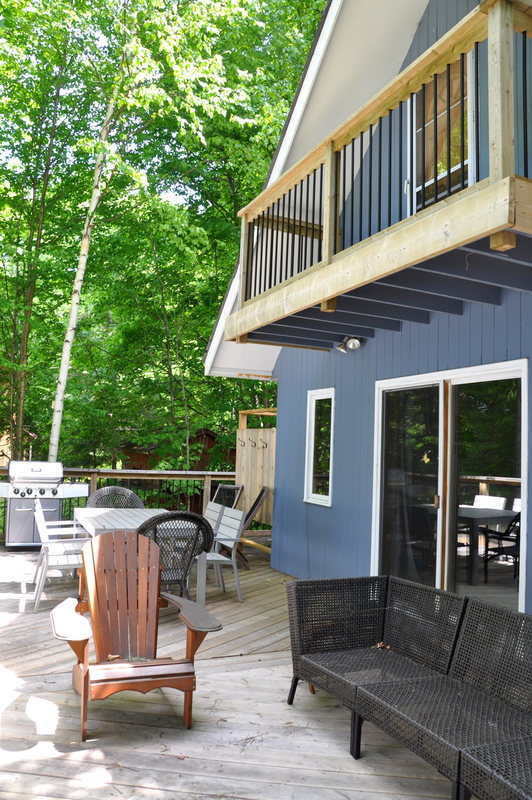 The main level has a compact kitchen leading out to an open concept dining/living room, facing out to a full length spacious deck with great tree-top views of the lake and a bedroom tucked into the back. 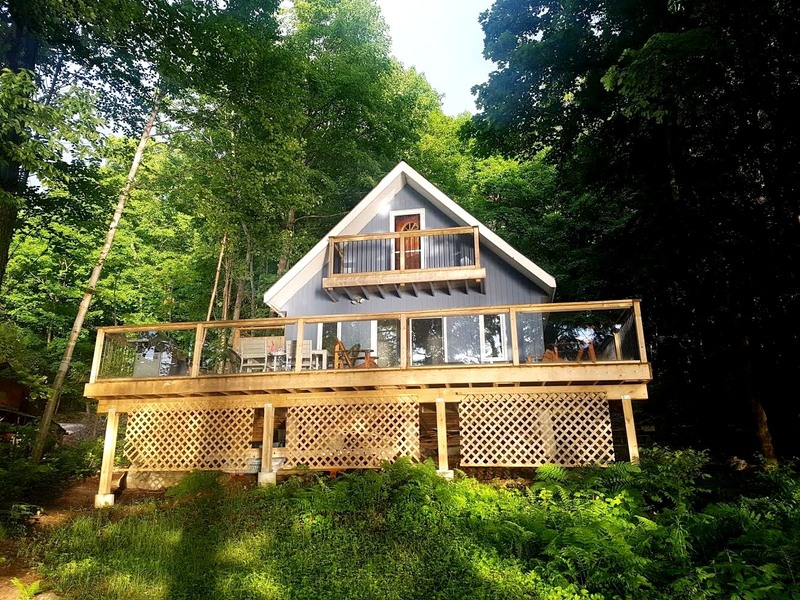 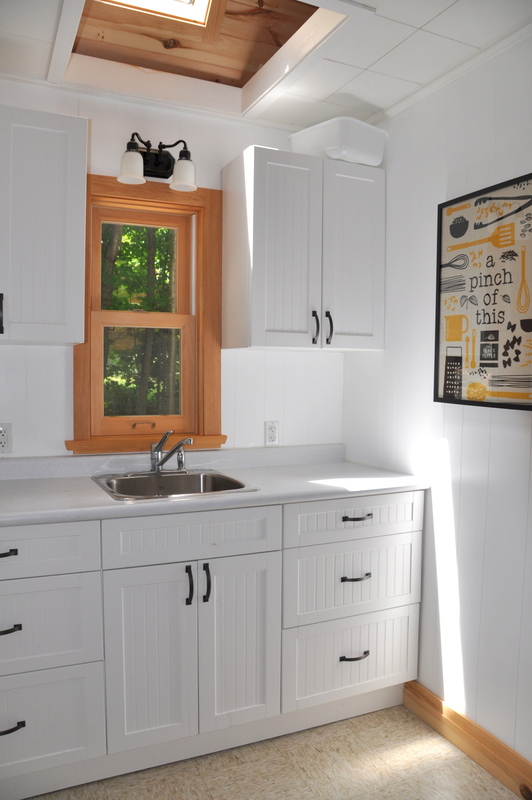 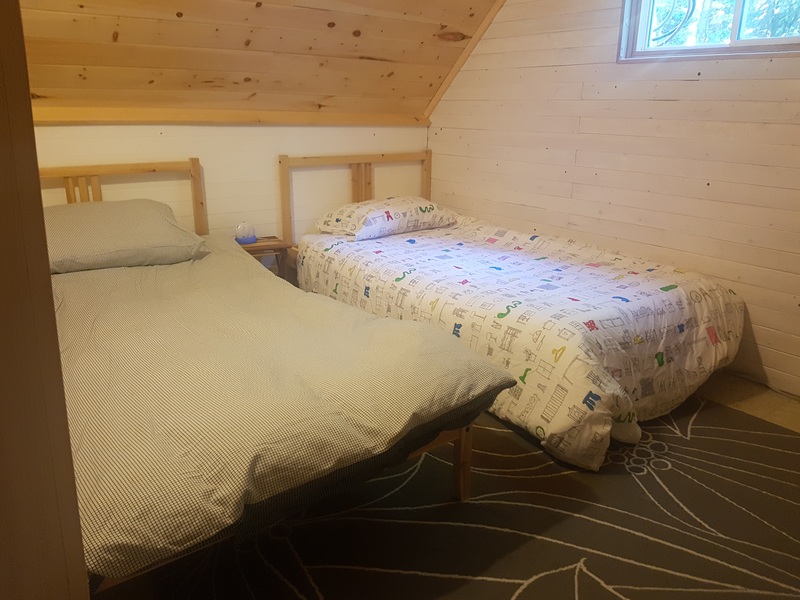 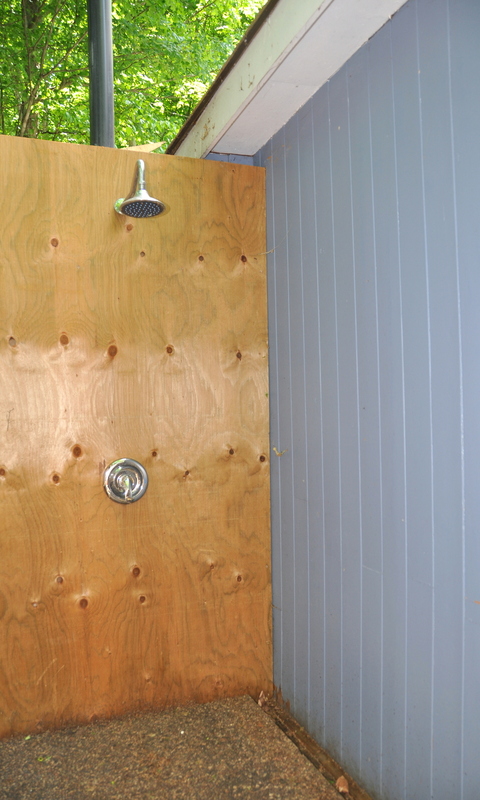 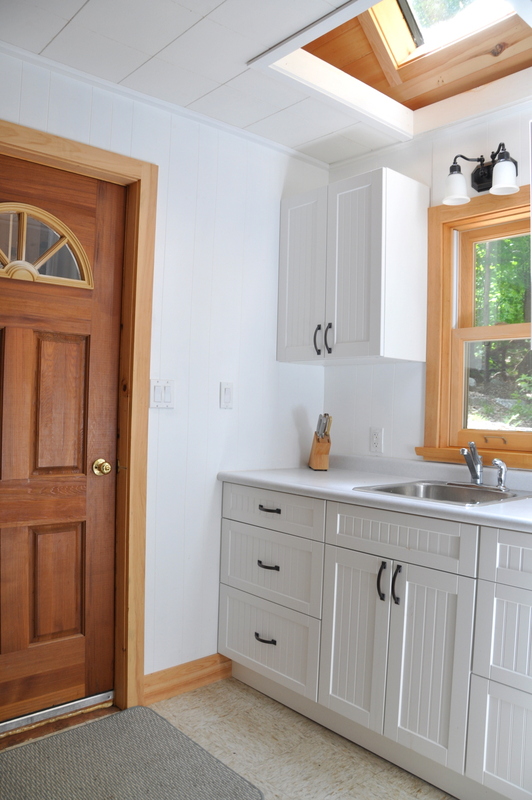 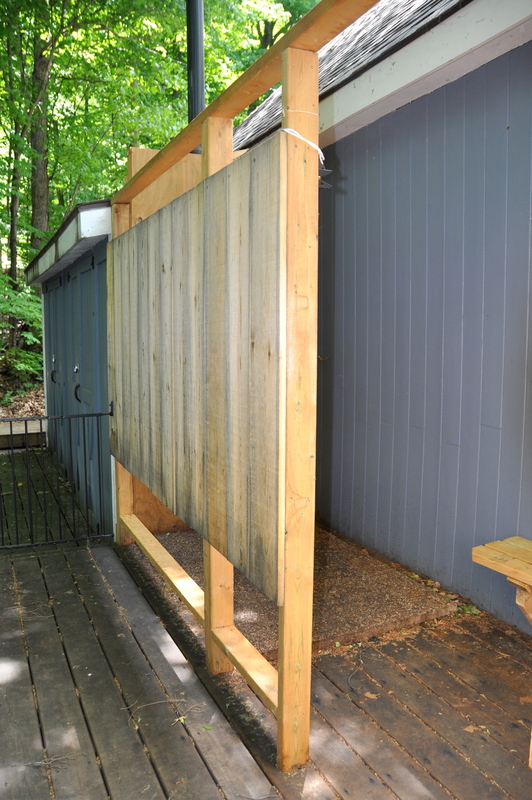 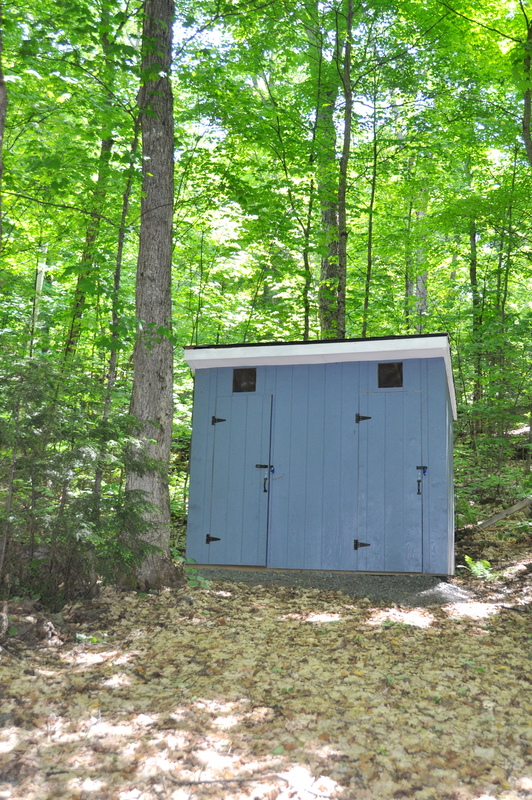 There is a newly renovated 2-piece bathroom on the main level and for lovers of the great outdoors, a rain shower is located on the side of the main deck with closed in private walls and a pristine outhouse is located just behind the cottage. 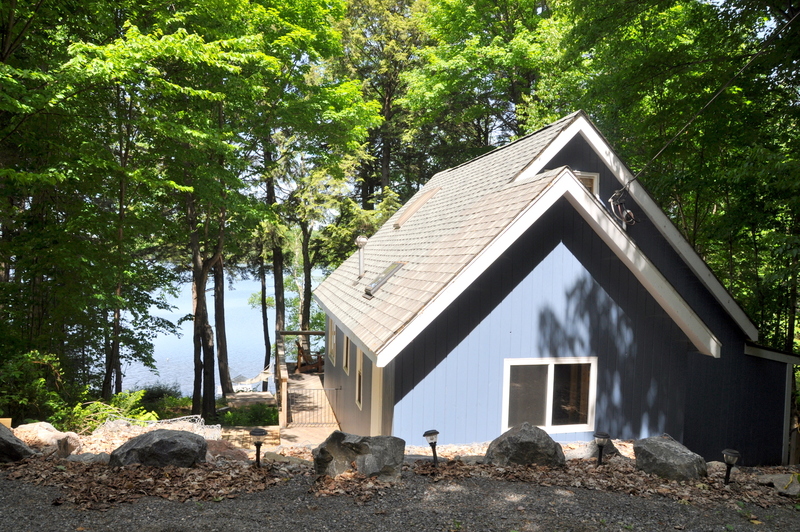 The upper level has a lakeside master bedroom with its own private walk-out deck and a 3rd bedroom with 2 single beds is just across the way, an ideal layout for parents with young children. 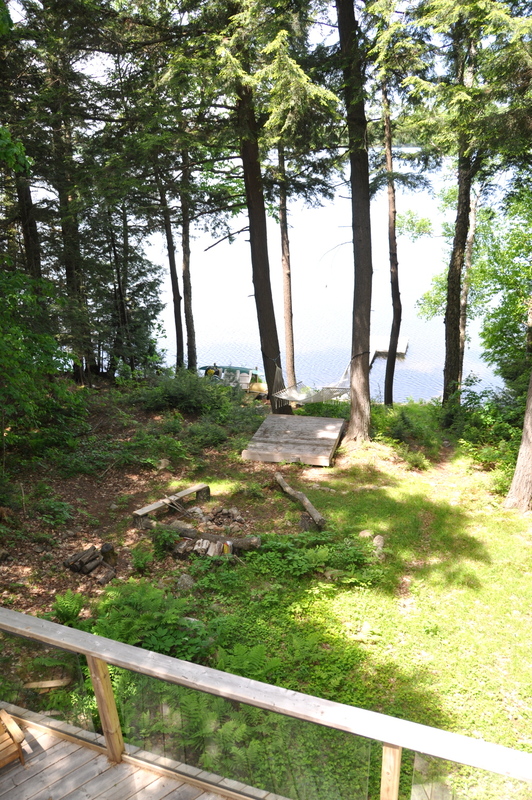 The property slopes down to a lake facing fire pit mid-way down to the waterfront with 80 ft. of natural shoreline and a fabulous long dock that enjoys sun from noon until sunset. 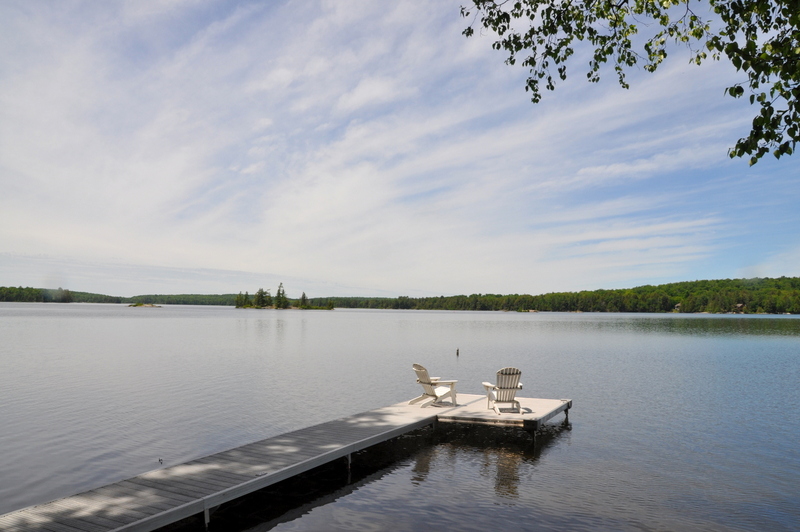 Swimming off the end of the dock is great as it is usually 4 feet deep here so it is perfect for most all ages and there is shallow water entry with hard packed sand to the left of the dock at the shoreline, which will appeal to both young and old alike. 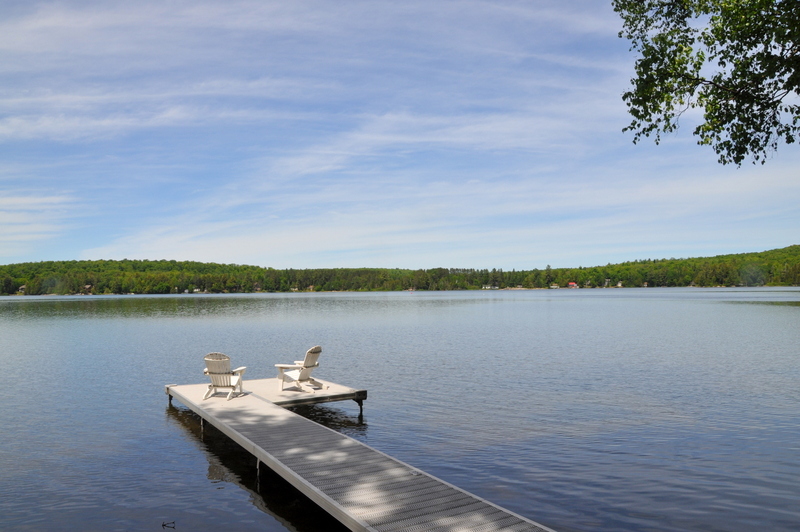 When you tire of swimming and sun bathing, head out onto the lake and paddle the afternoon away. 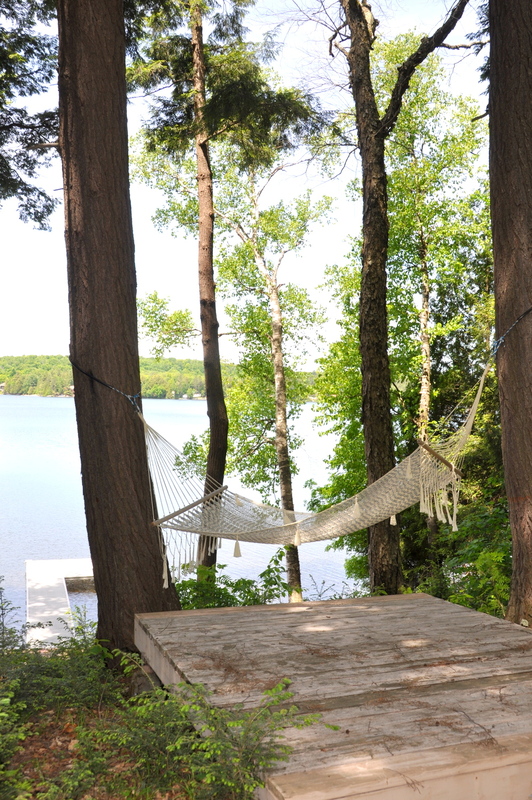 As the sun begins to set, enjoy a BBQ dinner on the deck and end the evening gathered around the fire pit roasting marshmallows or put dibs on the nearby hammock and fall asleep by the fire while watching the sky fill with stars. 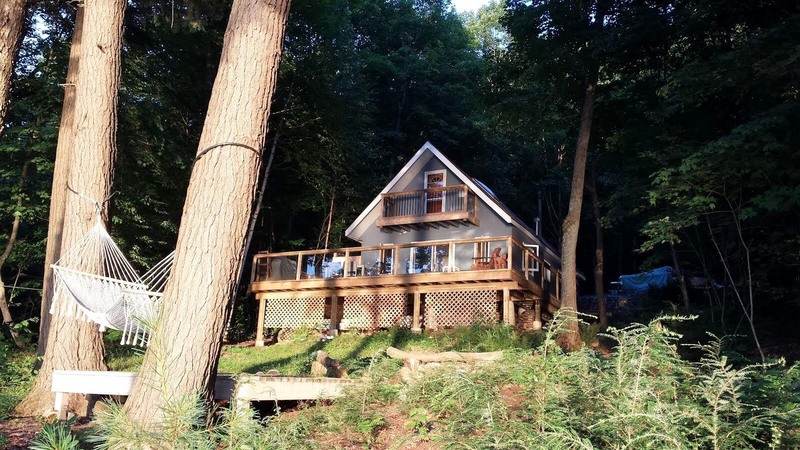 The sweet simple life! 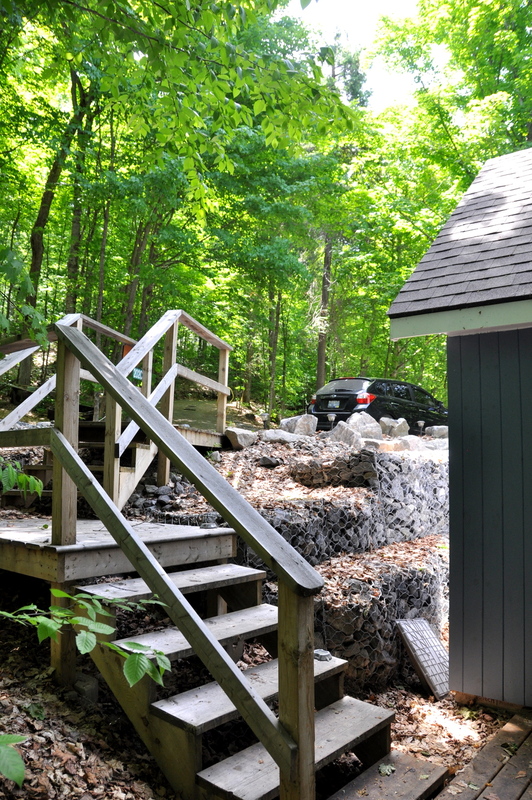 LOCATION: About 3 hours north of Toronto up Hwy #11. 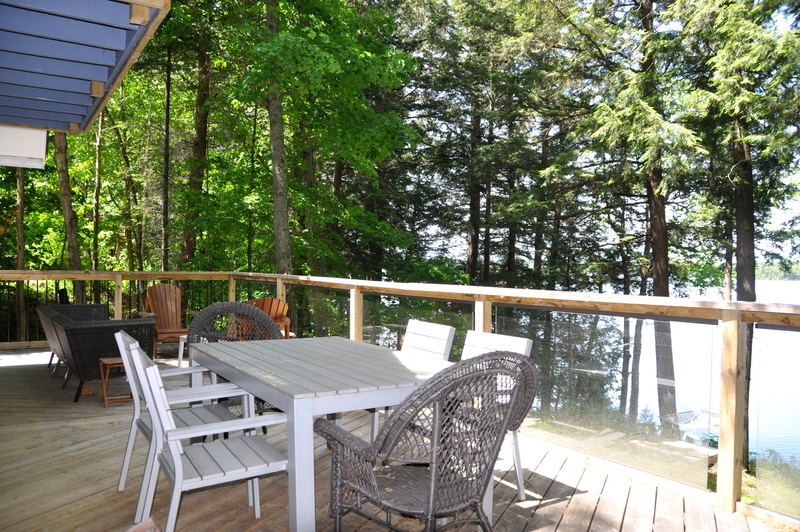 About 15 minutes from the little town of South River for some shopping, groceries, gas and LCBO.